Save big with our exciting Super Saver package. While most heritage hotels in Alwar district are born with the beauty and treasures of history, not one offers such a spacious dream site where you can have a peaceful weekend getaway from Delhi. Seven terraced gardens command a magnificent view above the tall ramparts that have now been lovingly completed and restored. The gardens have been compared to the Hanging Gardens of Babylon, one of the seven wonders of the ancient world – and the ruins (now restored) to Machu Picchu ! 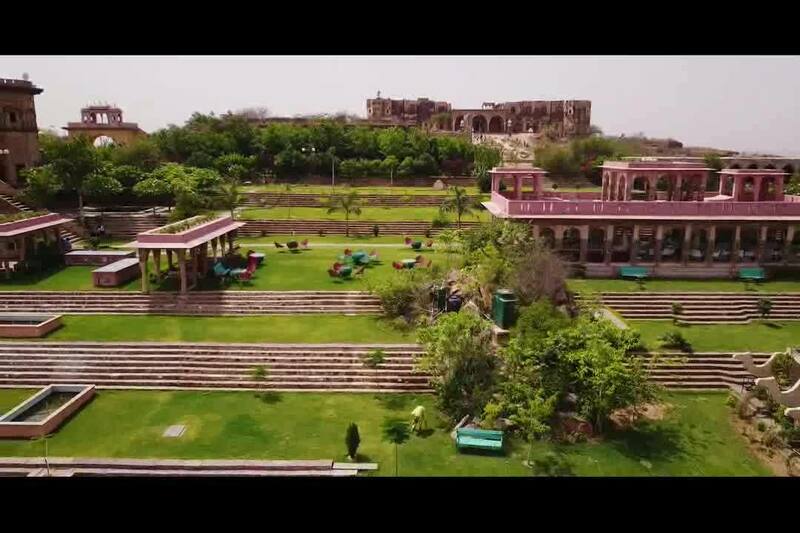 Tijara Fort-Palace is an exclusive weekend getaway from Delhi. There are 71 suites and rooms named after India's leading painters and artists. One stay at this 19th-century Fort-Palace will get you started on the discovery of the most unique heritage hotels in Alwar – and of the heritage experience of Neemrana Fort-Palace & The Hill Fort-Kesroli, also in the list of renowned Alwar hotels. Tijara Fort- Palace is a great weekend getaway as it offers the unique opportunity to awaken in a once unfinished and abandoned palace that has now been lovingly restored and made into a dream. Guests can also laze around by the swimming pool, and it is a fantastic venue for photography and history enthusiasts at this Rajasthan hotel. Tijara Fort-Palace is situated in Tijara, which is easily accessible by road from New Delhi. The road journey takes approximately 2.5 to 3 hours – depending on the office rush hours. There are buses available, run by the Delhi State Road Transport Corporation and by private travel companies as well. The nearest railway station to Tijara is in Alwar, which has trains to almost all major cities of Rajasthan. For guests that prefer air travel, the nearest airport from Tijara is 92 kilometres away at New Delhi. Tijara Fort-Palace also makes the most magical entry point to Rajasthan or stopover for travellers visiting Jaipur and other parts of Rajasthan.